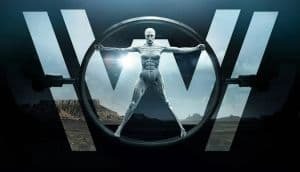 Westworld Season 3 Expected in 2020 | Nerd Much? It sounds as though the extended wait we endured to get the Season 2 premiere of Westworld could be the norm. The showrunning duo of Lisa Joy and Jonathan Nolan have stated that Season 3 of the show likely won’t debut until 2020. This shouldn’t be a shock to anyone really. The production team was adamant following Season 1 that they would not rush development and that the series’ time off would likely be well over a year. It total, the time between Season 1’s premiere and Season 2’s premiere ended up being roughly a year and a half. Just over 18 months separated the October 2016 Season 1 debut and last night’s initial episode of Season 2. “We want you excited to come back after 18 months but that you haven’t been left hanging on the edge of a cliffhanger — that doesn’t really feel fair to the audience. Westworld is an extremely complex show with a vast amount of moving pieces. To produce over ten hours of high-class television, it’s going to take some time to craft. This 18 month turnaround is actually pretty impressive if you think about it. While we’re on the topic, what did you think of Westworld’s Season 2 premiere? Did it live up to the hype? With Season 3 being likely set for October 2020, it makes brand new episodes of Season 2 all the more special. Westworld episodes premiere Sunday’s at 9:00 p.m. on HBO.